This 9th floor end unit is fully furnished and capable of some of the best rental numbers on the beach. Upgraded tile through the main living area flows nicely with the other upgrades including stainless steel appliances and tiled breakfast bar. The living room and master bedroom are on the Gulf and open to an expansive 10'x28' balcony offering beautiful coastline views. The master bathroom has a double vanity with granite countertops and custom bowl sinks. 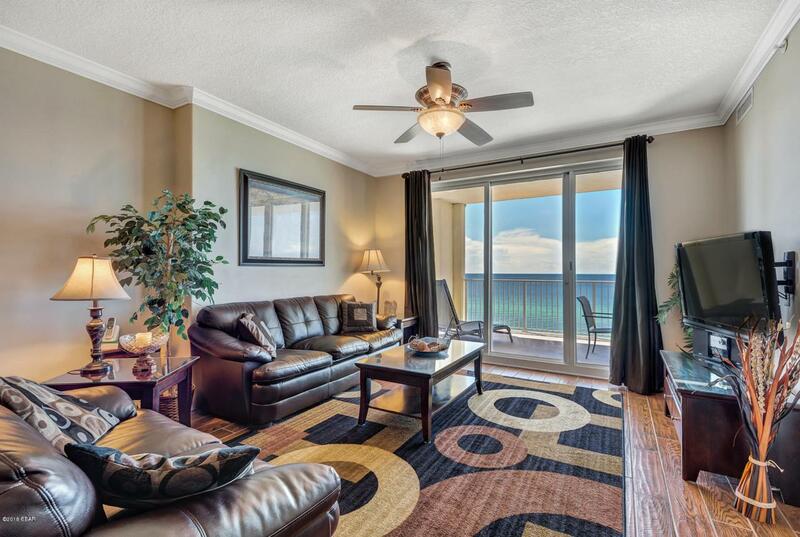 This is the only 4-bedroom condominium floor plan on the west side of Panama City Beach.